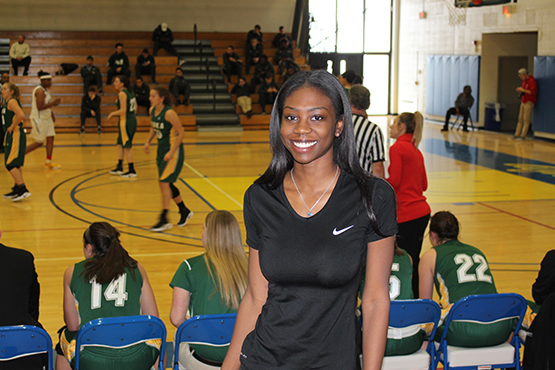 Tatyana always knew she wanted a career in sports, so she sought a college and a major that would help make her dream a reality. Her search led her to discover Alfred State’s sport management bachelor’s degree program, which turned out to be the perfect fit for her. For Tatyana, a recent graduate, there are so many things she enjoyed about studying at Alfred State, from helpful professors with real-world experience, to the friendliness of the college, to being in a program that provides so many options to students. In her field experience, Tatyana helped manage the women’s volleyball team by organizing and promoting their events, devising halftime entertainment and giveaways, promoting the team on social media, and much more. Also outside of the classroom, she helped found the Sport Business Club, whose mission is to provide educational experiences in the field of sport management. With aspirations of becoming a sports agent once she finishes law school, Tatyana began interning at a law firm in Brooklyn in January 2017. The opportunity came about through the assistance of her adviser at Alfred State, Associate Professor Clifford McPeak. Through her hands-on learning experiences, helpful professors, and relevant courses such as sport law and licensing and endorsements, Tatyana feels well prepared for her future.